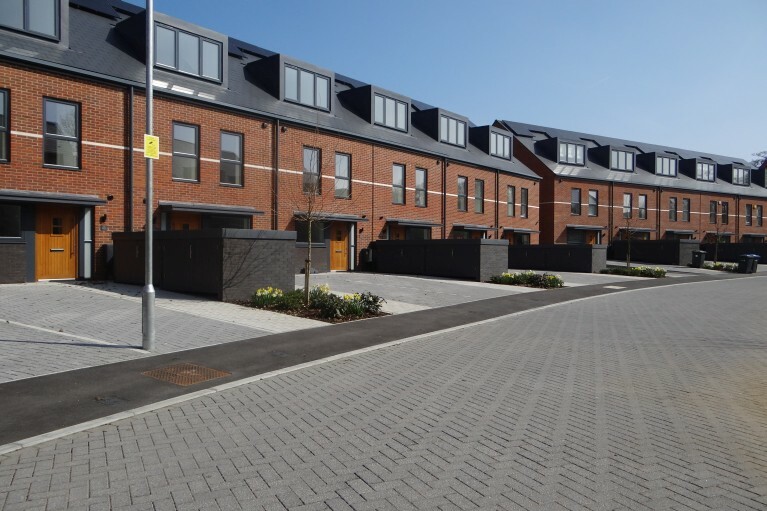 Kaybridge was awarded the L&Q project for the redevelopment of a former University Campus to provide 231 new homes consisting of 162 apartments and 69 houses, incorporating communal landscape areas and trim trial. This Environmentally sensitive site consisted of two wildlife ponds, flora, fauna, tree and root protection. Our scope consisted of foundations, drainage, permeable roads and footpath, cedec paths and log retaining walls. Sheet piling supported the integrity of Northern pond and protected areas for the construction of five reinforced concrete frame semi-basements supporting the traditional build apartments providing vehicle parking and cycle storage facilities. Associated 278 works were carried out to Enfield Highway standards.